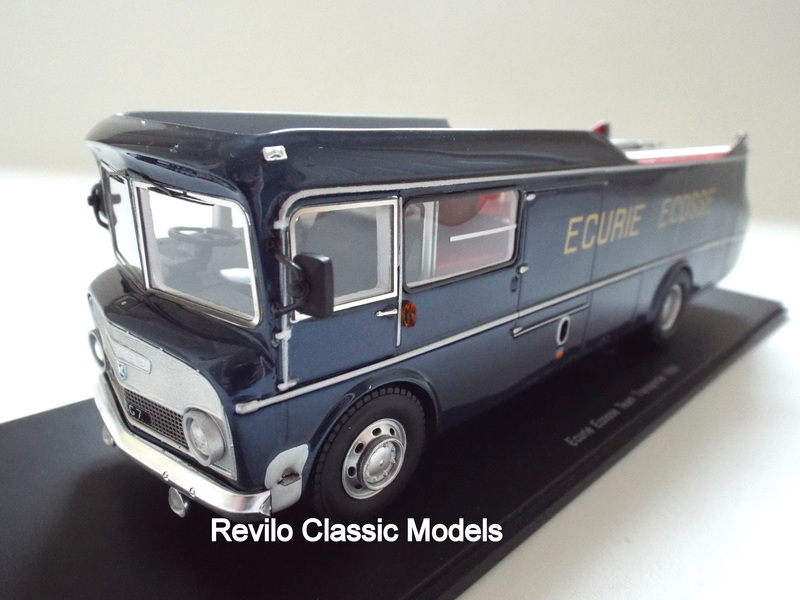 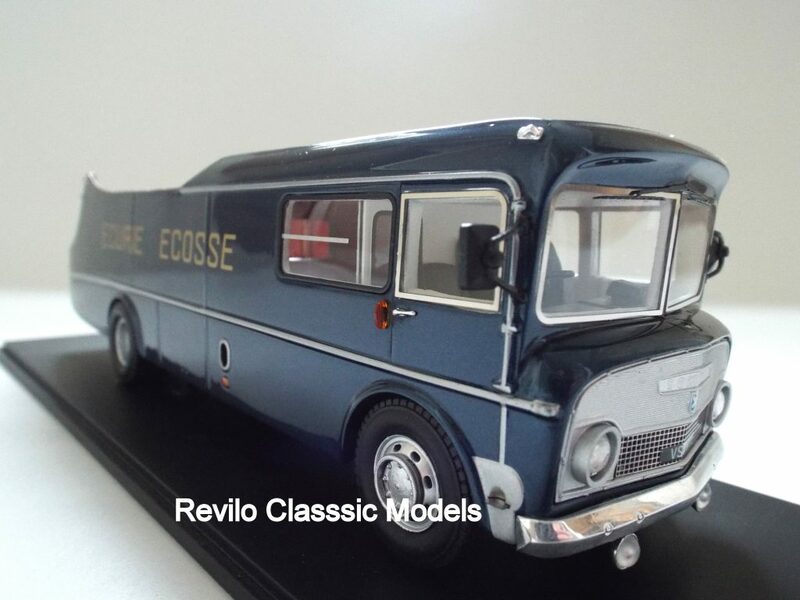 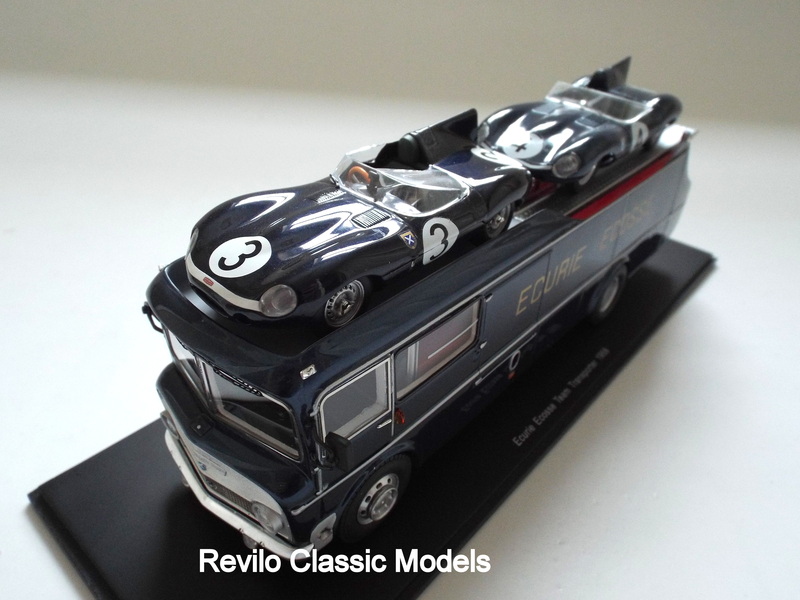 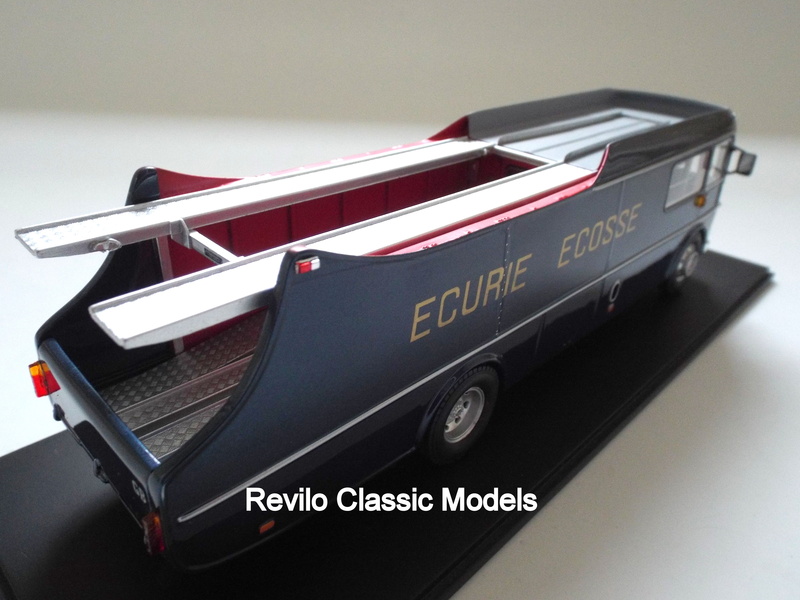 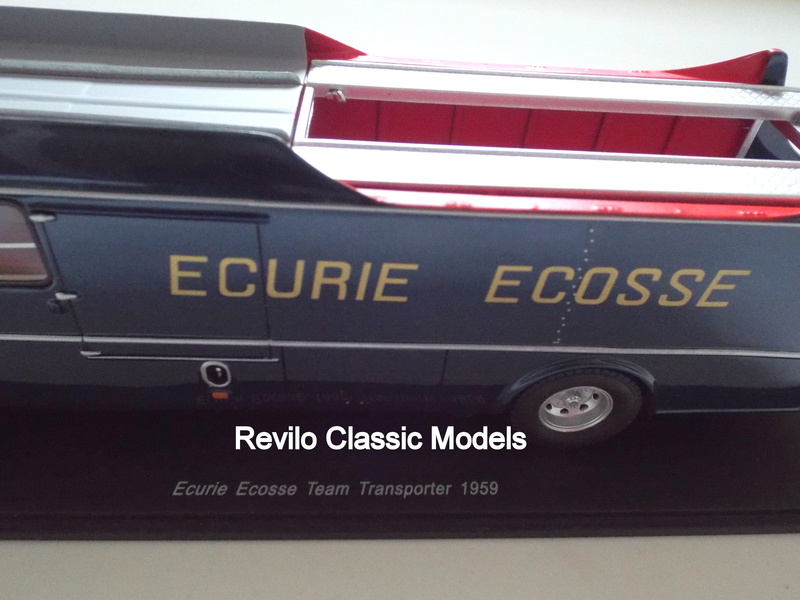 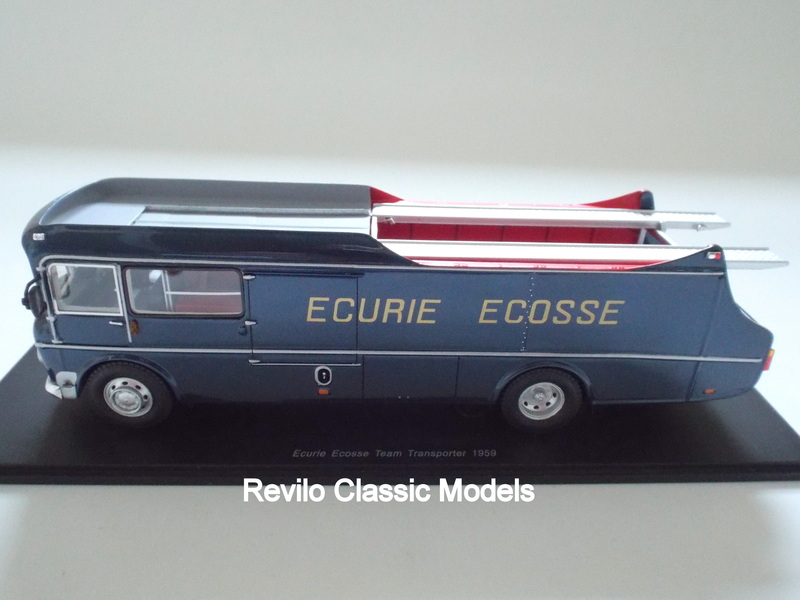 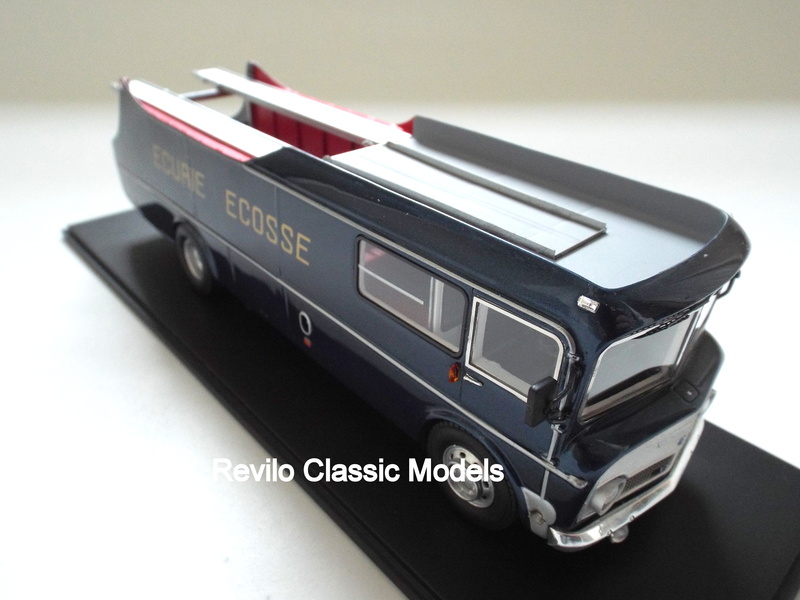 1959 Commer TS3, Ecurie Ecosse 1:43 scale Race Transporter by Spark models. 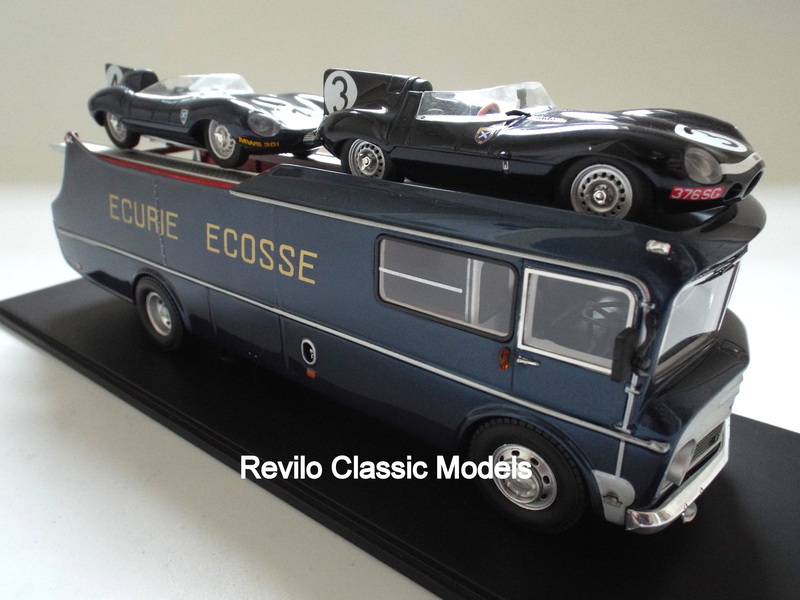 This is a beautiful recreation of probably the most famous race transporter of them all. 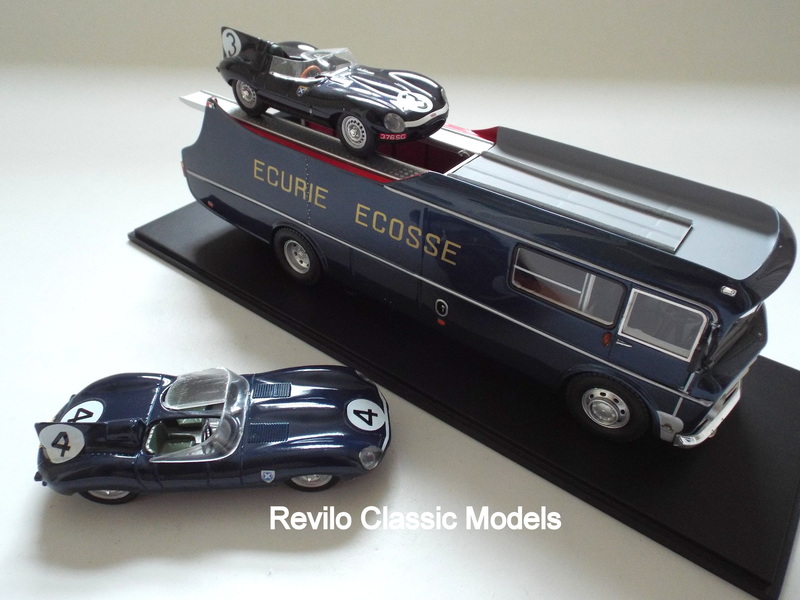 The transporter of the Scottish race team Ecurie Ecosse, as used to transport the Jaguar D Type’s to and from races in the 1950’s, including the Le Mans 24 hour race which the team won in 1956 and 1957. 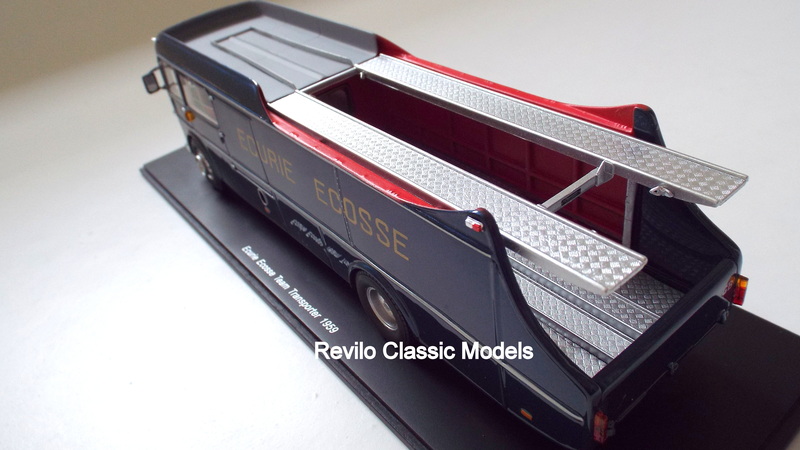 A ‘kerbside’ model (no opening panels) with incredible levels of detail for a 1:43 scale model. 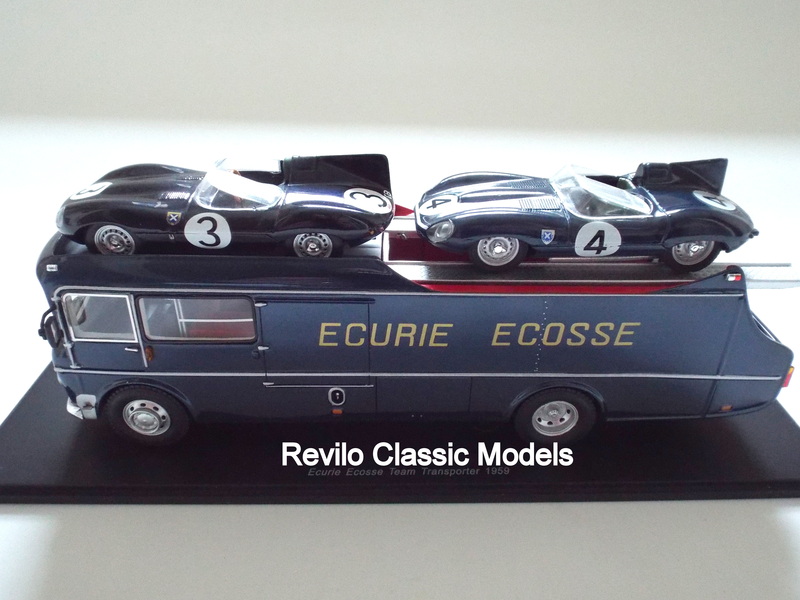 An iconic and highly interesting piece of motor racing and Le Mans history. 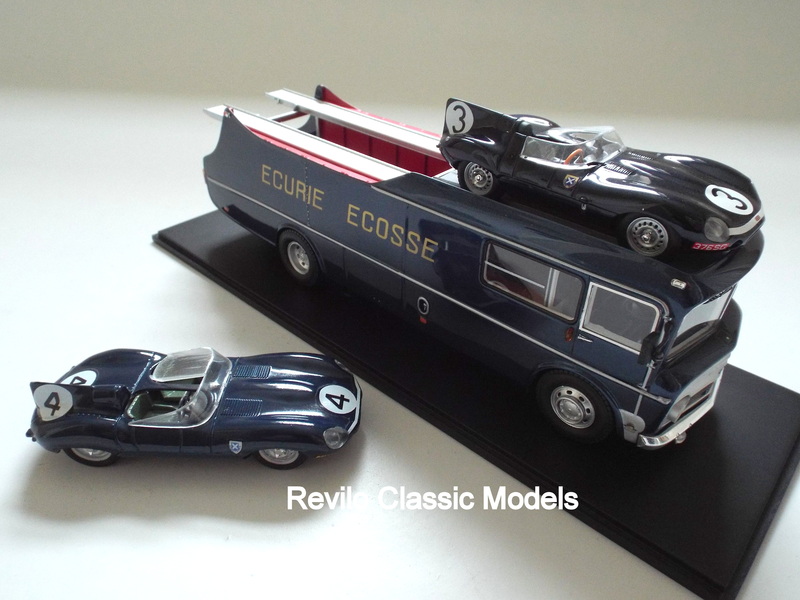 Please note the D type models shown are not included in the price but may be available seperately on request. 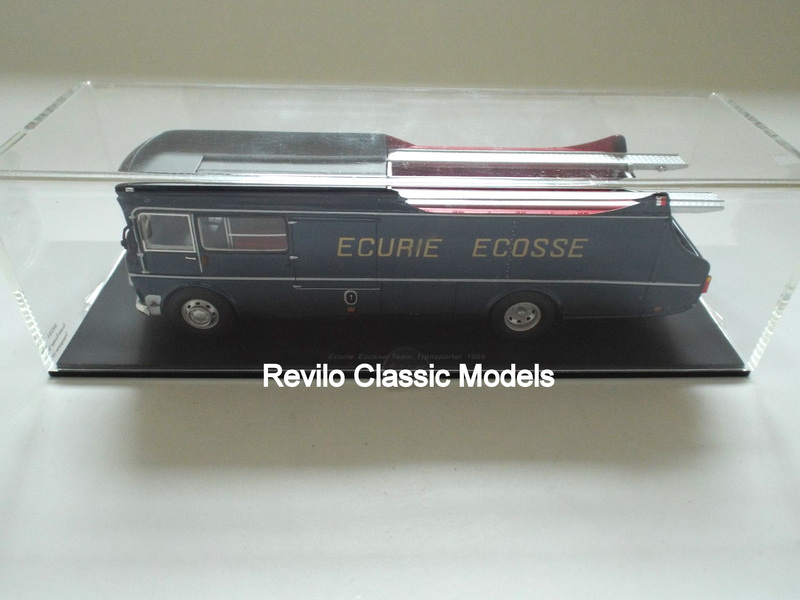 The model is new, measures approximately 22cms in length and comes mounted on a display plinth with perspex cover.